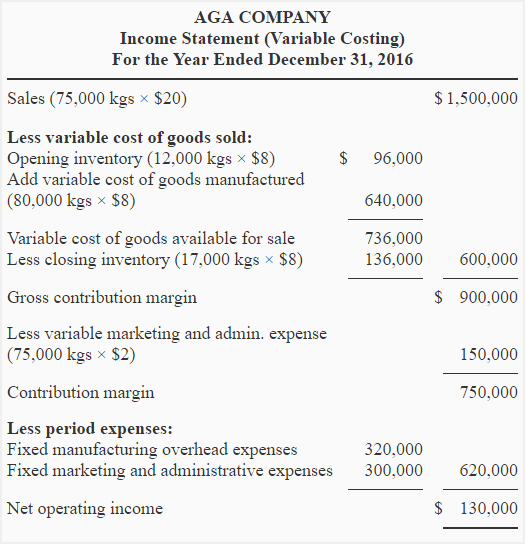 Income statement using absorption and variable costing methods. Explanation of the cause of difference in net operating income under two concepts. They are very useful as they helped me understand how these differences emerge. IT’s nice, but give some sums with explanation. Very useful, thank you chief. Very useful, it helped me understand this chapter. Useful thank you, but maybe add an example where the costs, closing inventory, and beginning inventory vary? From year to year, or month to month. Your site is very helpful and educating. Even bookmarked it. I’ll definitely pass my cost module by the help of this site. Can u plz solve the question where cost are given in amount. can someone tell me where is that 12 for the beginning inventory coming in Absorption costing? 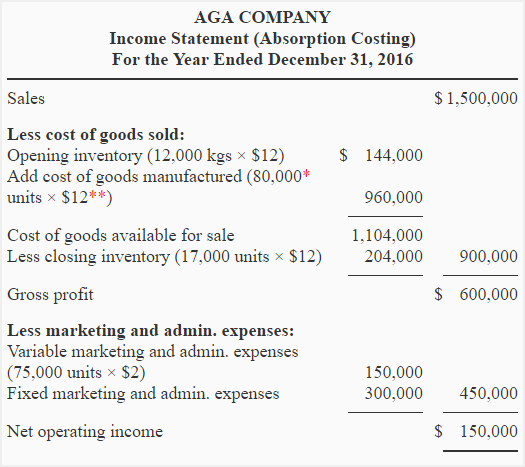 With the absorption costing income statement, you accounted for the costs of your beginning inventory twice. You should have multiplied the total costs by 80,000 and then subtract that number by your ending inventory costs. You have omitted the cost of beginning inventory in your computations. Your solution is correct only if there were no beginning finished goods inventory. HOW TO CALCULATE MANFACCTURING COSTS OF BEGINNING INVENTORY IN ABSORPTION COSTING ? ARE FIXED COSTS THE SAME AS OF PREVIOUS YEAR?